In 2006 Windows Administrators got their first glimpse into what the world of PowerShell scripting might look like when PowerShell, which was then known as Monad was released under beta conditions to the world. 10 years later we are now into our 5th iteration of the scripting language and have seen a thriving ecosystem form around the Verb-Noun style of automation. 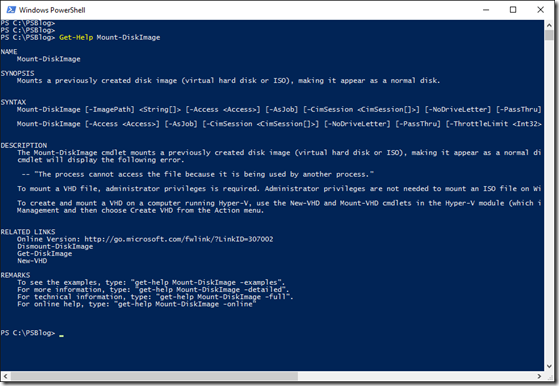 PowerShell is a powerful tool and can be an amazing time-saver to for any Windows administrator to know. That said, as with any scripting/programming languages getting started can be a little daunting, especially if you have had no scripting experience to fall back on. Below we will take a look at 5 tips that can save you both time and energy when writing your PowerShell scripts. There have been numerous times where I have found myself staring blankly at the glowing blue PowerShell console and grinding my brain. Not trying to figure out how to use a specific cmdlet, but trying to figure out what cmdlet to use. There are over 1000 cmdlets built into my default install of PowerShell 4.0 alone, without loading any external modules and snap-ins at all. Trying to tab complete to find the proper one to do the job can be a time-consuming, engaging experience. This is where the Get-Command cmdlet comes in handy. 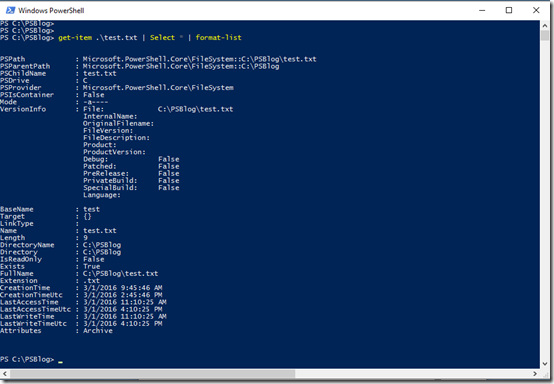 Get-Command allows us to list out all of the available PowerShell cmdlets within our current console, showing us various tidbits of information about that command such as version, source, and name. Simply running Get-Command by itself (shown below) is not very useful as it will simply list out every single cmdlet available within the console session. That said if you have a hunch or an inkling of what exactly you are looking for you can pass that information along with the –name flag. Say you were looking for cmdlets to parse XML files – below is how we can simply filter our output by passing wildcards and XML to our –name flag. Certainly, if you are struggling to find a cmdlet to meet your needs, or can’t quite remember the proper VERB-NOUN abbreviations, Get-Command can definitely point you in the right direction. Aside from this basic information, we can also pass flags to our Get-Help cmdlet to obtain more details around the cmdlet such as ‘-examples’ for example syntax, ‘-detailed’ for more detailed help, and ‘-full’ for everything. As we can see below, passing ‘-examples’ to our previous Get-Help call gives us some example syntax we can use to reference when constructing our own commands. Having our help text shown in a separate window can be very beneficial, allowing administrators to both work within the console window and follow along with examples and details within the help content.  So, if you are struggling to try to find a way to manipulate or find out more about a specific object simply pipe the Get-Member cmdlet to find out all of the available methods and properties you can use. It should be noted that some cmdlets will confirm by default, which is great while you are sitting inside a console but not so useful when an unattended script is running. For these cmdlets we can pass a false value to our –Confirm parameter (IE –Confirm:$false) to “auto confirm” these changes. 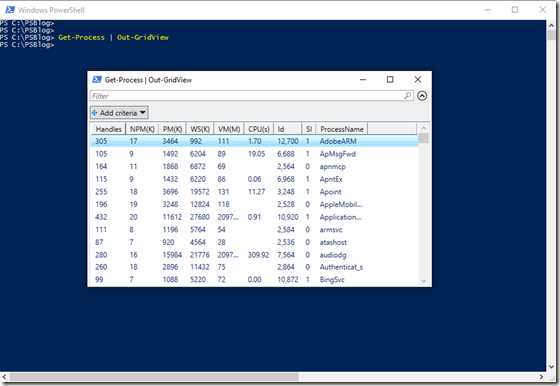 One final useful way of displaying results within PowerShell is with a GridView. Our previous example only returned one item, but if it had returned an array of objects, like the Get-Process cmdlet things can get messy pretty quick when trying to sort filter the results. 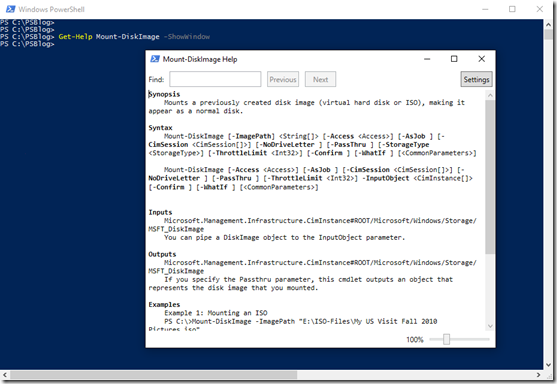 There are ways to do it via PowerShell cmdlets such as Sort-Object, however, it’s much easier sometimes to simply break out our return text into a GUI-based window that we can manipulate. Shown below we pipe the Out-GridView to our Get-Process cmdlet which in turn places our results in a separate window. As you can see, we now have all of our familiar sorting and filtering functionality available to us, making it easier to get at the data we were initially looking for. 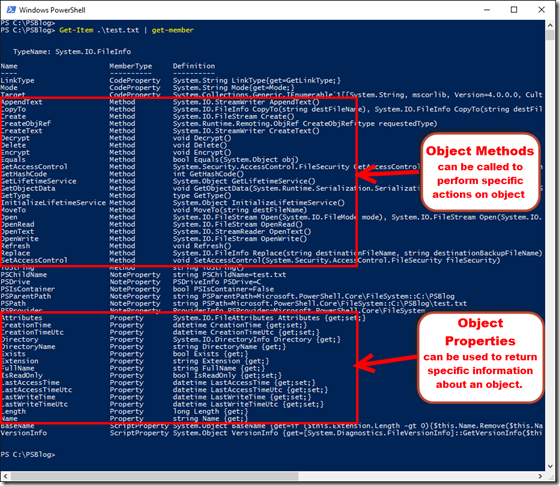 In this tips article, we have barely scraped the surface as to what PowerShell can do, but we have given you the tools and cmdlets you can use to help you gain more information about the what certain cmdlets do, how to use them and how to work with the objects they return. 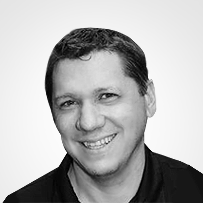 Automation is quickly becoming a key player in datacenters and businesses around the world, and PowerShell is one of the key players in that space so I urge everyone – get to know PowerShell and see what it can do for you.